STEP 1 Wash potato and poke holes in it with a fork. 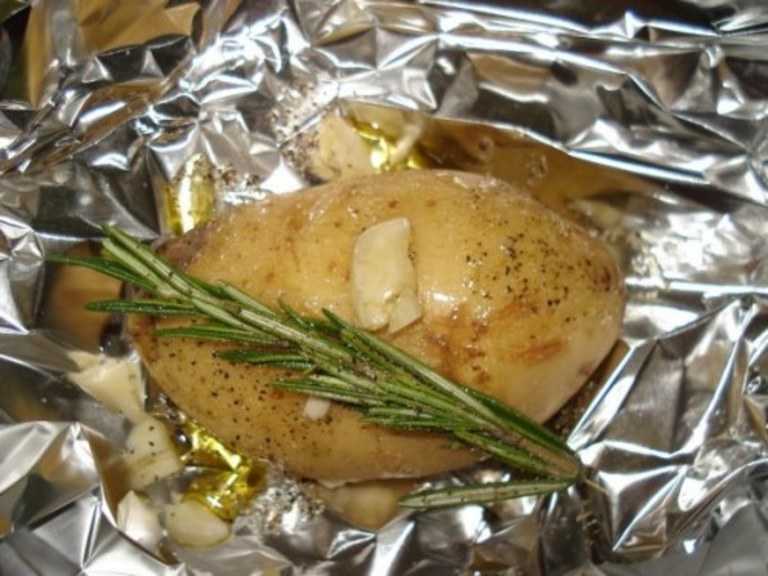 STEP 2 Take a foil paper and place potato on foil paper. Add oil, salt, pepper, rosemary and garlic. STEP 3 Pouch the potato and bake on the BBQ on medium heat for 25-30 minutes , or until tender. Cheers!